Transformer losses can be divided into two main components: no-load losses and load losses. These types of losses are common to all types of transformers, regardless of transformer application or power rating. There are, however, two other types of losses; extra losses created by harmonics and losses which may apply particularly to larger transformers – cooling or auxiliary losses, caused by the use of cooling equipment like fans and pumps. These losses occur in the transformer core whenever the transformer is energised (even when the secondary circuit is open). They are also called iron losses or core losses and are constant. Caused by the frictional movement of magnetic domains in the core laminations being magnetized and demagnetized by alternation of the magnetic field. These losses depend on the type of material used to build a core. Silicon steel has much lower hysteresis than normal steel but amorphous metal has much better performance than silicon steel. Nowadays hysteresis losses can be reduced by material processing such as cold rolling, laser treatment or grain orientation. Hysteresis losses are usually responsible for more than a half of total no-load losses (~50% to ~70%). This ratio was smaller in the past (due to the higher contribution of eddy current losses particularly in relatively thick and not laser treated sheets). Caused by varying magnetic fields inducing eddy currents in the laminations and thus generating heat. These losses can be reduced by building the core from thin laminated sheets insulated from each other by a thin varnish layer to reduce eddy currents. Eddy current losses nowadays usually account for 30% to 50% of total no-load losses. 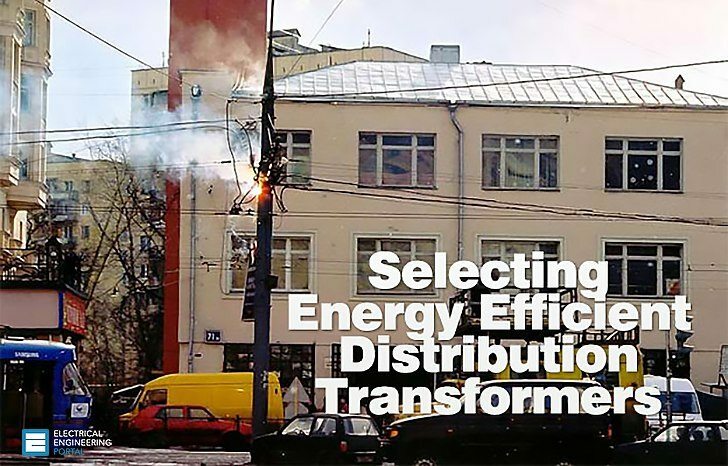 When assessing efforts in improving distribution transformer efficiency, the biggest progress has been achieved in reduction of these losses. There are also marginal stray and dielectric losses which occur in the transformer core, accounting usually for no more than 1% of total no-load losses. These losses are commonly called copper losses or short circuit losses. 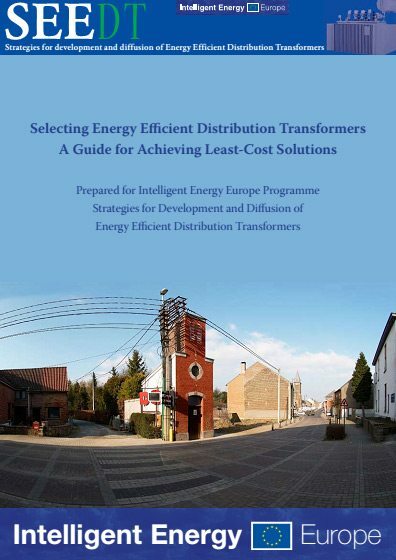 Load losses vary according to the transformer loading. Sometimes referred to as copper loss, since this resistive component of load loss dominates. This loss occurs in transformer windings and is caused by the resistance of the conductor. The magnitude of these losses increases with the square of the load current and is proportional to the resistance of the winding. It can be reduced by increasing the cross sectional area of conductor or by reducing the winding length. Using copper as the conductor maintains the balance between weight, size, cost and resistance; adding an additional amount to increase conductor diameter, consistent with other design constraints, reduces losses. Eddy currents, due to magnetic fields caused by alternating current, also occur in the windings. Reducing the cross-section of the conductor reduces eddy currents, so stranded conductors are used to achieve the required low resistance while controlling eddy current loss. Effectively, this means that the ‘winding’ is made up of a number of parallel windings. Since each of these windings would experience a slightly different flux, the voltage developed by each would be slightly different and connecting the ends would result in circulating currents which would contribute to loss. This is avoided by the use of continuously transposed conductor (CTC), in which the strands are frequently transposed to average the flux differences and equalise the voltage. These losses are caused by using energy to run cooling fans or pumps which help to cool larger transformers. Thank you for value article. That totally meet with our requirements to fulfill our knowledge & skills to be a good Engineer. I am wondering what can I say about 3-phase distribution transformer state/health/condition or about its losses if I know about this distribution transformer its years of operation, voltages on primary a secondary, its power, no load and load loss and I have ammeter readings from all three phases on primary and secondary side from for example two week period (with minute sample rate). I have also available seasonal coefficients and aggregate power transformed 3 years back. Question is what can I say about losses in this transformer (regarding to its under-utilisation, over-utilisation, phase unbalance, economical operation)? Is there any paper or guidance how can I quantify this losses? How can I pursuit utility owner for transformer upgrading or replacement? Good and valuable web site for those who are studying in Electrical Engineering subjects. Good job! Mr. Edvard.